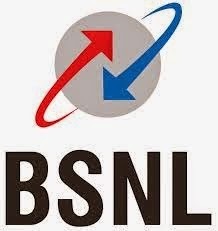 Bharat Sanchar Nigam Limited (BSNL) Published Recruitment Notification for 2510 Junior Telecom Officer (Telecom) Posts. Qualification : B.E. / B.Tech. or Equivalent in Telecom / Electronics / Radio / Computer/ Electrical / Information Technology / Instrumentation Engineering or M.Sc. (Electronics) / M.Sc. (Computer Science) and are Required to Appear GATE Exam 2017.